India is a large and diverse country that produces many different varieties of textiles and fabrics across its numerous states and cities. Perhaps the most beautiful traditional Indian garment is the saree. Women enjoy wearing sarees not just in their daily life but also on special occasions such as weddings, parties, festivals, and events. No matter what your individual style maybe, you are sure to find a beautiful sari that will match your taste, given the large collection of stunning Indian sarees available in India. There are sarees for every occasion – Bridal Sarees, Wedding Trousseau Sarees, Party Sarees, and many more. From simple cotton sarees to sarees made using distinctive textiles, fabrics, colors, patterns, motifs, designs, precious zari, bead, and stonework, etc – the choices available are unlimited. Cotton Sarees are evergreen sarees which never go out of style, especially in those parts of India where the heat becomes unbearable in the summer months. Light, airy and comfortable, cotton saris are woven in almost all parts of the country such as West Bengal, Bihar, etc. The most preferred design on cotton saris include block-prints, floral motifs, and animal prints. 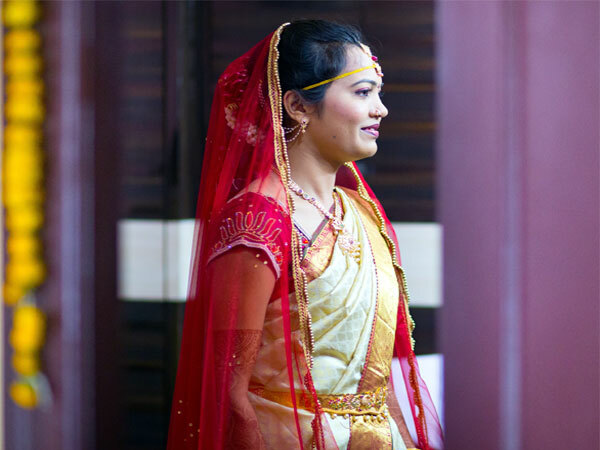 Heavy silk sarees are very popular in India and are especially worn by women while attending special occasions such as weddings, etc. There are many different kinds of silk sarees available. Baluchari Silks – Baluchari silks originate in (Paschim Banga) West Bengal and are known for their beautiful, larger than life floral motifs, butis and silk brocade designs. These saris are usually available in rich, deep colours like red. Banarasi Silk Saris – These banarasi silk saris are manufactured in Varanasi and are very well known all across the country. The most eye-catching feature of these banarasi silks is the popular Jaal work, heavy zari work (gold or silver) as well as interesting figures depicting the Mughal empire. Never to go out of style, these beautiful, rich and elegant saris are definitely worth the investment. Kanchipuram Silks – The southern states of India such as Tamil Nadu which is home to the Kanchipuram silks is considered to be the hub for beautiful, rich & pure, high-quality silk saris. Kanchipuram silks are known for their rich, silk woven zari borders which carry motifs of flowers, etc. Kanchipuram brocade silks are so regal and rich in their look and feel that they make ideal wedding attire. Paithani Silk Saris – Paithani silks are manufactured in a small town in Aurangabad, Maharashtra. The most distinguishing design on these saris includes beautiful nature-based motifs of trees, plants, and birds. These saris have a very pleasing, rich look with beautiful gold base & elegant silk patterns. Mysore Silk is another famous silk sari. Bandhani saris are made using the tie and dye technique which creates beautiful and eye catching patterns onto the cotton fabrics. Vibrant, colourful and attractive, Bandhani saris are manufactured in the states of Gujarat and Rajasthan. Besides sarees, Bandhani material is also used for creating dupattas, turbans, etc. The Gharchola saris from Jamnagar and Rajkot are also quite popular. These usually adorn small motifs of peacocks, etc, and have a gold thread. These handmade handloom saris originate in the town of Patan, in Gujarat and are made using the resist-dyeing techniqe. Some of the most popular designs on these patola saris include figures, flowers, birds, etc. The Patola Silk saris are also very beautiful and created by weavers who are masters in their craft. Usually, several months are taken to create a Patola sari masterpiece due to its intricate design. Colours used include red, green, black, and yellow, etc. Hand woven Gadwal saris from Andhra Pradesh may be manufactured using cotton, silk or zari. The borders generally contain motifs of peacocks, etc, and may come in light colors such as sea green, browns, off-whites, etc. Gold embroidery technique used to create the rich and always-in-style zardozi saris is well known. If there is one sari which should always be a part of a girl’s wedding trousseau, it is the zardosi sari, thanks to its sheer good looks. Kota saris from Kota in Rajasthan is another variety of cotton saris, ideal for the summer months. Also known as ‘kota doria’, these saris may be made of cotton or cotton/silk weave. Since Kota saris have fine weave, they are extremely lightweight and airy saris. The famous Jamawar silk sari comes from the state of Uttar Pradesh. These saris are woven and embellished using silk gold zari thread work. The most defining trait of a jamawar sari is the back portion of the sari which shows a beautiful array of threads which are used to weave the silk sari. The Chanderi saree originates from the state of Madhya Pradesh. Usually made using fine cotton or silk, these saris consist of patterns from Chanderi temples. Cotton and silk Maheshwari sarees come with a beautiful gold, zari border. Besides these, there are other types of saris which display intricate hand-work, embroidery such as the chikan embroidery saris, ikat saris, kantha saris, kalamkari saris, etc.